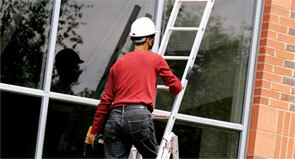 If it’s right to use a ladder, use the right ladder and get trained to use it safely. Despite the many myths and articles to the contrary appearing in the popular press, the Health and Safety Executive (HSE) has not banned ladders, and for straightforward, short duration work, ladders and stepladders remain a sensible option. Yes, the HSE wants people to use the right equipment for the job; yes, there are some common sense rules for using them safely; but no, the HSE has not banned ladders. Unlike many other types of working at height equipment, ladders are easily transported, quick and easy to set up, manoeuvrable and have a much smaller footprint in the working area. Former HSE Chief Executive Geoffrey Podger said it best: “Let me be clear, ladders are not banned, and HSE has been saying this since 2005. Despite that, HSE’s Infoline still gets regular calls asking whether ladders are banned, so the rumour won’t go away. “There will be circumstances when a risk assessment concludes that a ladder is not the right sort of access equipment for a particular job, but this is not the same as saying ladders are banned. 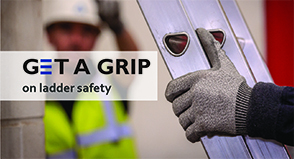 HSE will continue to make this point publicly alongside the Ladder Association which promotes safe and responsible ladder use.